Dynamic text in landers is quite common -- you will quite often see landers that mention your country, current city, device make/model and so on. This can be useful not only for text the user reads, but also for code-level input such as passing a FunnelFlux visitor ID to a form, some ID to a script, etc. In the lander configuration, edit the URL and append this data. You can use any available FunnelFlux token as in the menu to the right to make this dynamic. This will insert whatever value you passed under the country key, e.g. with country=australia, or country=brazil, and so on. Some examples are provided in additional notes below. Printing dynamic data into your HTML using PHP is a little bit easier as this code gets processed server-side before getting to the user. Because the user's browser does not process the script code to make things happen, there is less chance of error and you don't need to care much for syntax issues. If using PHP, either use a .php extension for your web page or configure your webserver (e.g. Nginx) to pass html files through the PHP preprocessor by default. Where "namehere" is the key name for whatever URL parameter you are trying to insert. E.g. if you have ...&fruit=banana... in the URL, then "fruit" is the key name, banana is the corresponding value. 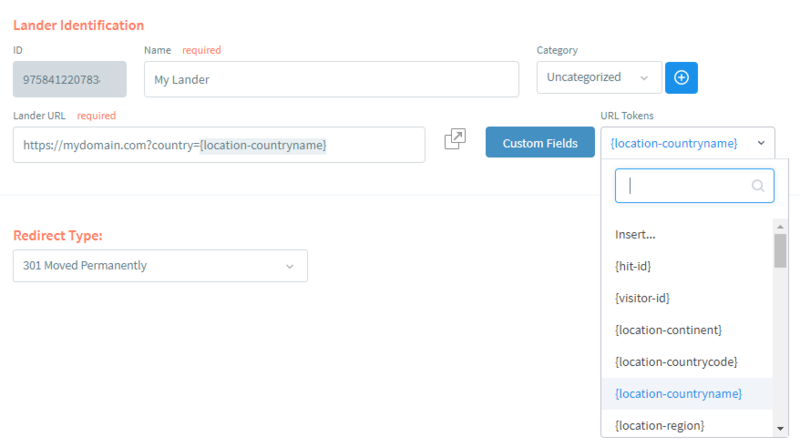 Now, if you want to make your lander a bit more robust, you could also set some defaults like "Your City" or "Your Smartphone" in cases where the URL parameters are missing (like organic traffic). This can be used in many situations, you just need to have an id for your HTML element, in this case a form field input, and then you can use a relevant operation like setAttribute to change something like a value parameter. What you do here will vary based on the specific scenario, so you'll need to ask a developer for assistance or use your Google Engineer skills if it is a scenario not easily resolved with code as above.